Edvina continues the work to define a new SIP reference profile, updated to fit current networks and implementations. SIP 2.0 is over 10 years old and the RFC does no longer cover enough to fit the needs of the enterprise. Networking has changed and much has been added to SIP by the IETF in cooperation with the SIP Forum, the 3GPP and the PacketCable consortium. Unfortunately, when purchasing SIP solutions, most customers still only refer to RFC 3261 as the reference specification. This is what SIP2012 is trying to change. 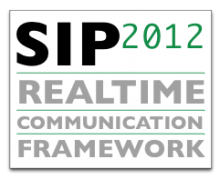 ICE – Interactive Connectivity Establishment – is now added to SIP2012. It’s a solution for always finding the best media path between two devices – regardless if it’s private or public addresses or if it’s an IPv4 or an IPv6 address. For a SIP call, the caller and callee needs to know that there is a working media path. If not, the call should fail. This is the promise of ICE. ICE is also part of the developing standard for adding interactive media – audio and video – to web browsers. With SIP in the web browser on your tablet, you want to connect over 3G or 4G, wifi enterprise networks as well as to the Wifi in a hotel or in a café. ICE handles finding the best media path in these environments, so it’s a natural part of the WebRTC standard. In that project, many additional requirements to ICE has been added, which will show up as new RFCs soon. Read more about ICE on our SIP2012 project web and watch our presentation of ICE! Follow us on Twitter or Facebook to engage in the debate!